this product on myself. 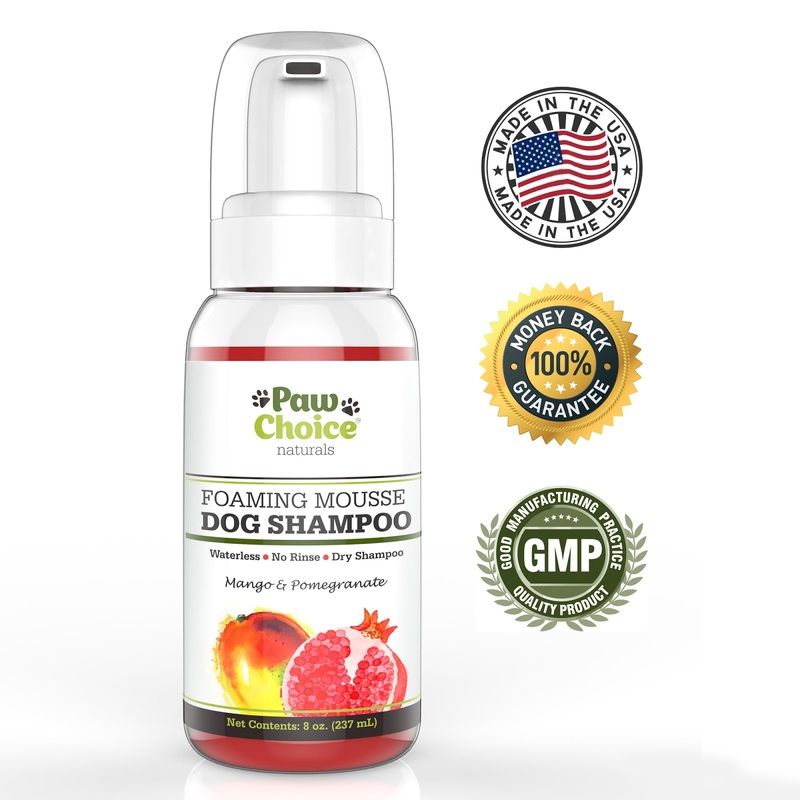 Paw Choice naturals foaming mousse dog shampoo is a water-less, no rinse dry shampoo. It is a 8 fl oz pump container and it smells like heaven. 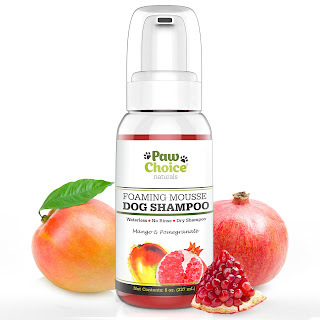 It is a blend of mango and pomegranate. We have 2 very small chihuahuas by the name of Tom & Jerry that do not enjoy bath time at all. They only get a bath 1 or 2 times a month but it is always a struggle. 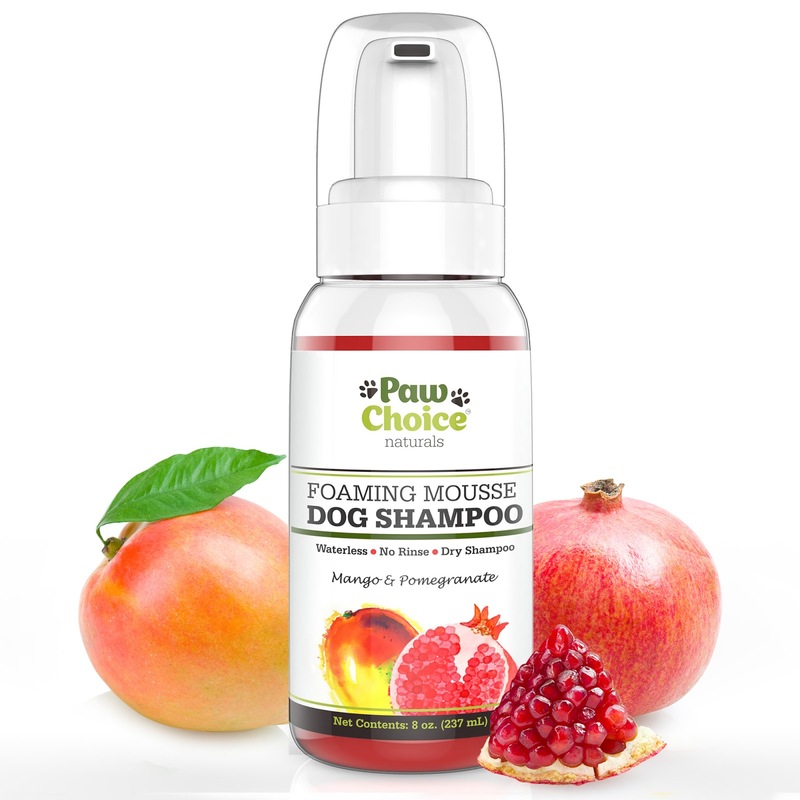 Paw Choice naturals foaming mousse dog shampoo has been a blessing for those in between times that they need to be cleaned. 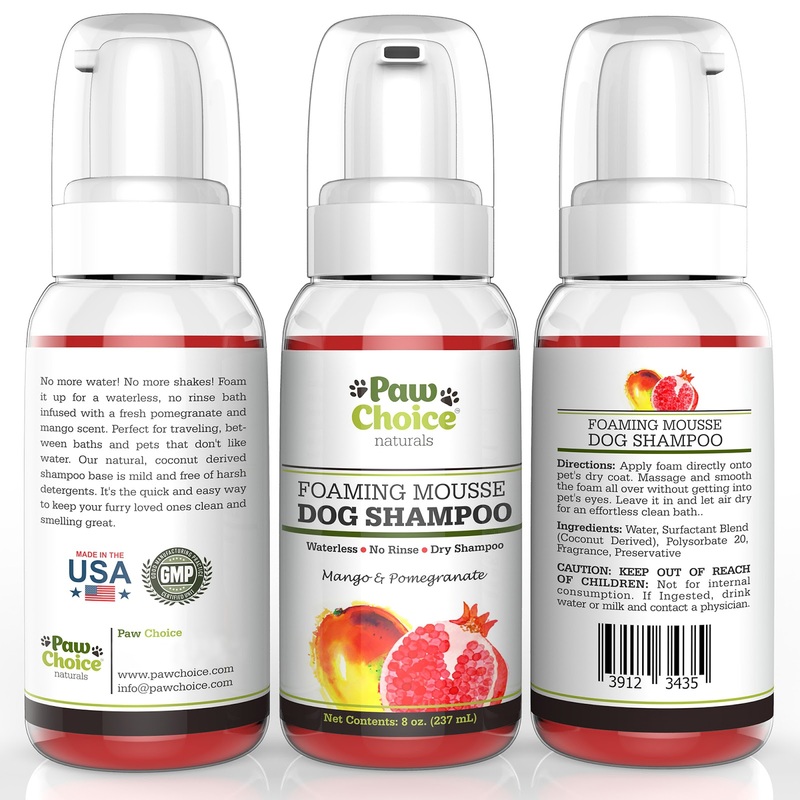 It leaves them smelling fresh and clean and their coats looking great. 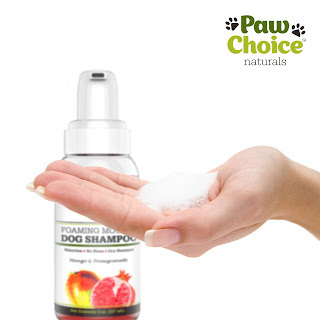 NATURAL COCONUT DERIVED FORMULA. Mild, safe and good for sensitive skin. 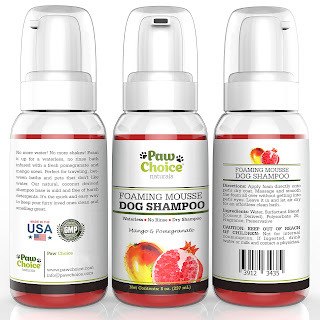 Okay to use with topical flea treatments. traveling, smelly dogs and pets that don't like water or baths. BETTER THAN WIPES AND SPRAYS. More economical and environmentally friendly than wipes and isn't a scary spray bottle. Actually cleans and doesn't just mask odor. SATISFACTION GUARANTEED. When you order today, you're protected by a 30 day, no questions asked satisfaction guarantee and world class customer service!